Finding quality beauty products that are made of natural products and that are certified cruelty-free is hard to find. Finding all of these items in a beauty product and having these products available locally is even harder! That is why I was so happy to be able to review Demes and their line of beauty products! Demes creates products that cleanse your hands, nourishes your face, moisturizes your body and keeps you smelling fresh with fun names and containers that are either biodegradable, recyclable or re-usable. Demes believes that what you take into your body will have a positive or negative effect on you. That is why Demes creates natural, toxic-free that are 110% vegan. Demes uses plant materials including butters, oils, essentials oils and hydrosols to take care of your family, even your pets! The first products I had to try were the Look Ma, Clean Hands Natural Kitchen and Bath Soaps. We received a pump bottle that I used in our kitchen their Bergamot Geranium scent and a cosmetic bottle I used in our bathroom in their Eucalyptus Peppermint scent. I wanted to use these products first because, in a family with two toddlers and a teenager life gets messy quickly and we are constantly washing our hands. Look Ma, Clean Hands Natural Rinse-Free (Or Rinse) Hand Wash can be used with or without water to clean your hands. I tried both soaps with grimy, greasy hands and these soaps cleansed my hands quickly of whatever I had on them. The scents were both very pleasant, and I love having a second soap in these rooms, especially in our kitchen, so we do not have to use up our dish soap as much as we need to. Since we wash our hands a lot in our home, we then need to keep our hands, as well as the rest our body, moisturized. 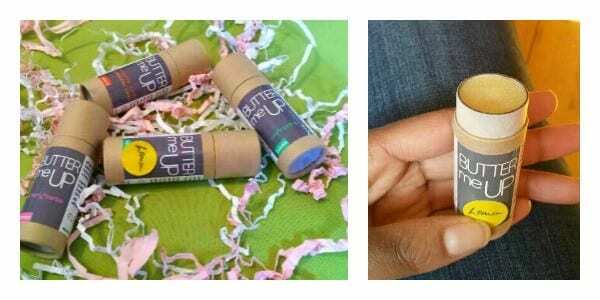 This is when we turned to the Butter Me Up Moisturizing Sticks to relieve our dry hands. I tried the Mint scented moisturizing stick first. It was easy to apply to my hands, and it absorbed into my skin quickly, and there was no greasy feel left on my skin. My hands also smelled like mint gum. I then used their new lemon scented moisturizing stick on my lips since it smelled like my favourite lemon-flavoured candy. This scent is easily my favourite out of all of the ones we tried. My lips were moisturized for hours after applying it, even after eating and licking my lips. My kids love the cherry and tangerine scented moisturizing sticks since they smell so sweet and their skin and lips get moisturized quickly. I really enjoyed using the Vegan Natural Skincare products Demes sent us to review. I have what I like to call “difficult” facial skin. It is very finicky, and I have to be careful with the products I use on it to cleanse and care for it. I used the Vegan Natural Natural Skincare Cleansing Oil and Make Up Remover along with the Gentle Toner to clean and calm the skin on my face. I took some time out for myself to use the Cleansing Oil and Make Up Remover since I had to put a warm facecloth on my face for the steam to soak into my skin. It was so relaxing! I then used the Gentle Toner on my face. It made my face feel fresh and clean, and the scent of the rose hydrosol used to make this toner made me feel so refreshed and relaxed. I could continue my day feeling better than I did before cleansing my face. 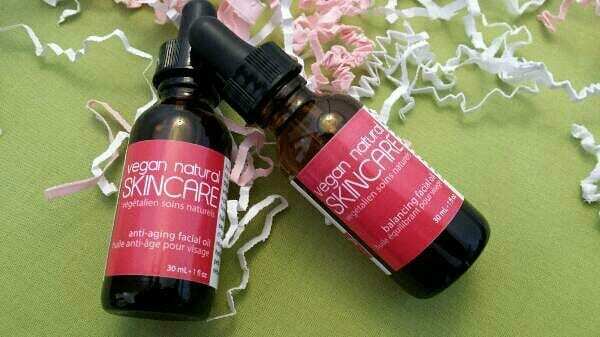 To continue my mini facial, I used the Vegan Natural Skincare Balancing Facial Oil. I applied a few drops to my fingertips and then rubbed this oil onto my face. 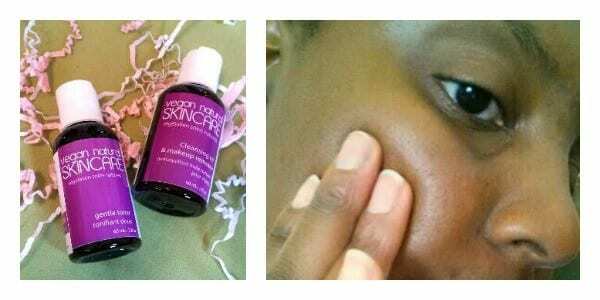 My skin loved and absorbed this oil so my face did not become dry and flaky. The smell combination of macadamia nut and jojoba oils with the rosewood and ylang ylang essential oils further helped to relax my skin. 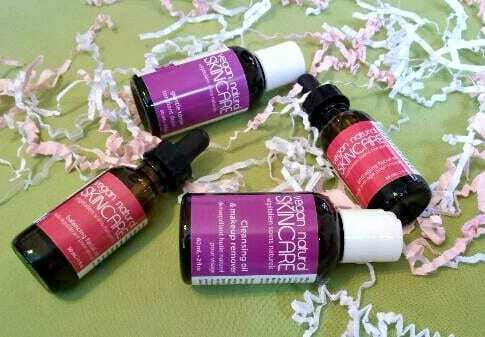 This facial oil is rich with essential fatty acids and omegas. This oil is made for all skin types ranging from oily, dry, normal, aging and acne. I also used the Anti-Aging Facial Oil on days that my skin felt a bit drier than usual. It moisturized my skin after using a few drops and massaging it onto my face. This oil is also made with essential fatty acids and omega rich macadamia nut and jojoba oils along with carrot seed and geranium oils. 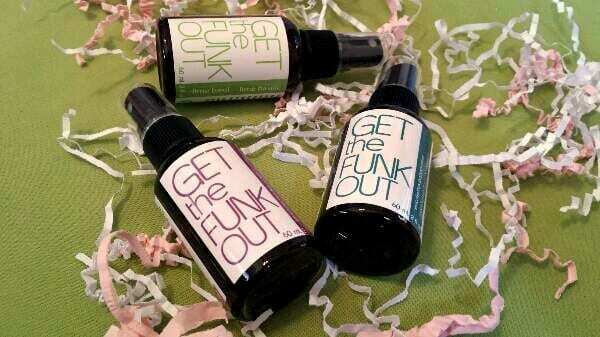 I also liked using all three of the Get the Funk Out sprays. Each scent was so different, so it was fun to try all of them. We received this product in their Eucalyptus Peppermint, Lavender Frankincense and Lime Basil scents. I liked using the Eucalyptus Peppermint and Lavender Frankincense scents as a body spray. I used the Eucalyptus Peppermint as more of an everyday scent because it has a fresh scent, and I used the Lavender Frankincense scent when I went out with friends. I liked using the Lime Basil scent around the house to freshen up rooms in our home because it has a clean scent. My family loved reviewing all of the products we received from Demes! They all worked well, can used by anyone in our family, and the packaging is environmentally-friendly. We also like that the ingredients used in these products are 100% vegan, so they are not harmful to our skin and that these products were not tested on animals. Demes really took care of my family from face to toes and beyond! For more information about Demes or their products, you can visit their website. You can also connect with Demes on their Facebook and Twitter pages. Disclaimer: I received products from Demes in order to write this review. The opinions expressed are my own. a $50 gift card to Demes to purchase any of their products! The giveaway is open to Canadian residents and ends on May 4th, 2015 at 11:59 EST. I would love to try the lemon butter me up moisturizer. I love the smell of lemon!! i would like to try Look Ma, Clean Hands-all the different scents sound like they would smell awesome! I would buy a lot of Butter Me Up…I constantly have dry lips, and my Mom would love them too! I would buy LOTS of Butter me up! I would get the Look ma, clean hands hand soap. I would get Look Ma, Clean Hands natural rinse-free (or rinse) hand wash. I would get the Facial Cleansing oil and makeup remover with Gentle Toner and some Butter Me Up. I would get Butter me up. I would get the Butter Me Up. I would get the Butter Me Up: Moisture sticks! I would get the Butter me up since it sounds perfect for my extra dry skin. I would try Get the Funk Out Eucalyptus Peppermint! Would love the Look Ma, Clean Hands and butter me up! I would get the butter me up! I would choose the Balancing Facial Oil. If I won I’d choose the Butter Me Up stick in Tangerine Vanilla and mint. The Look Ma Clean Hands would be great! I would get the Get the Funk Out Eucalyptus Peppermint.